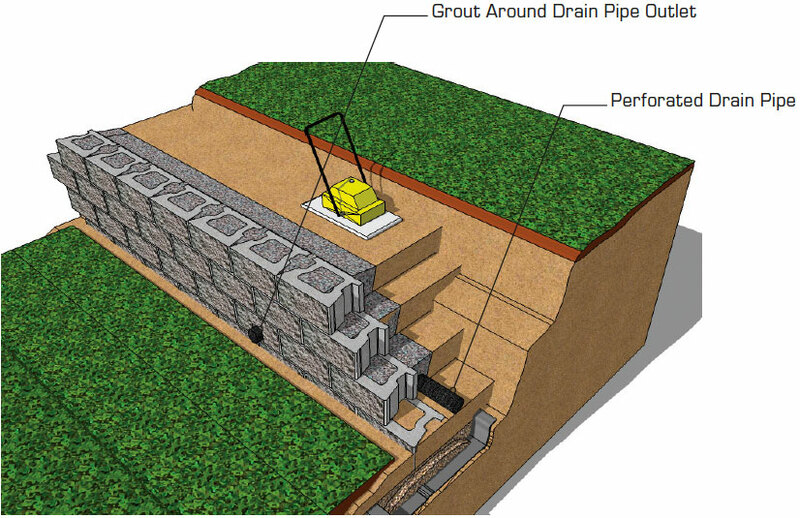 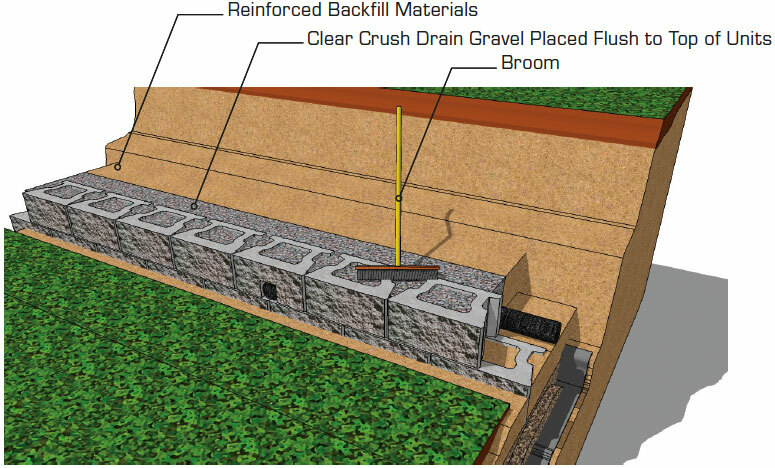 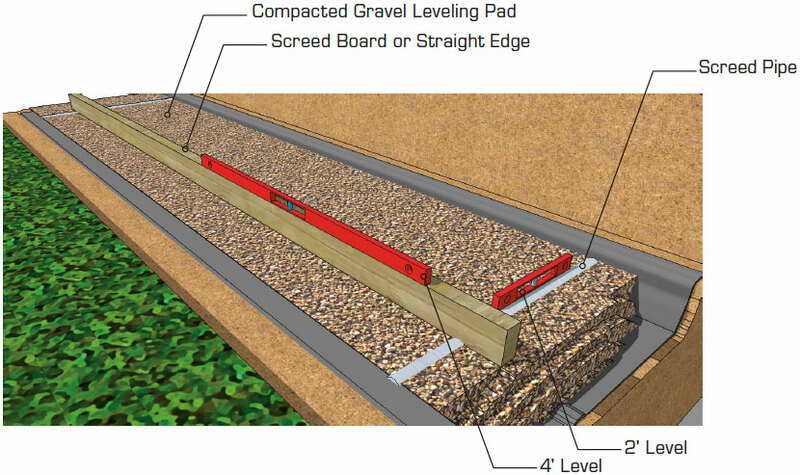 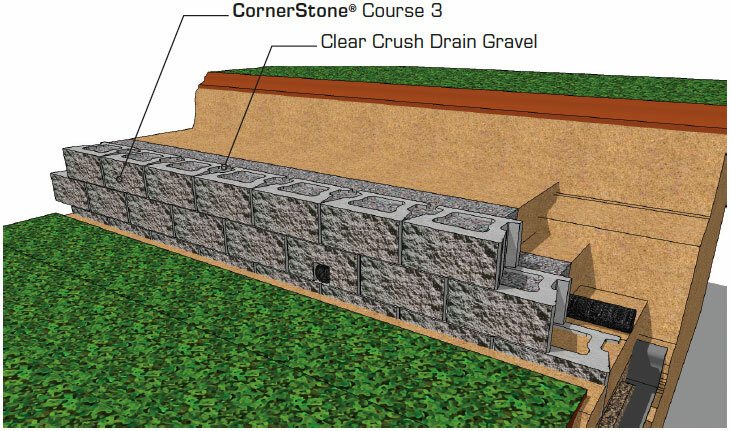 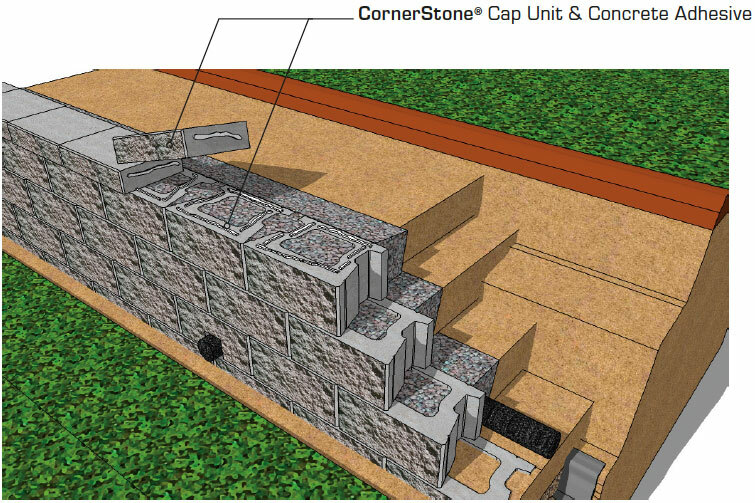 Gravity (SRW) Cornerstone retaining wall systems are structures lower in height that use the CornerStone® unit weight combined with gravel core infill to resist earth pressures behind and on top of the wall. 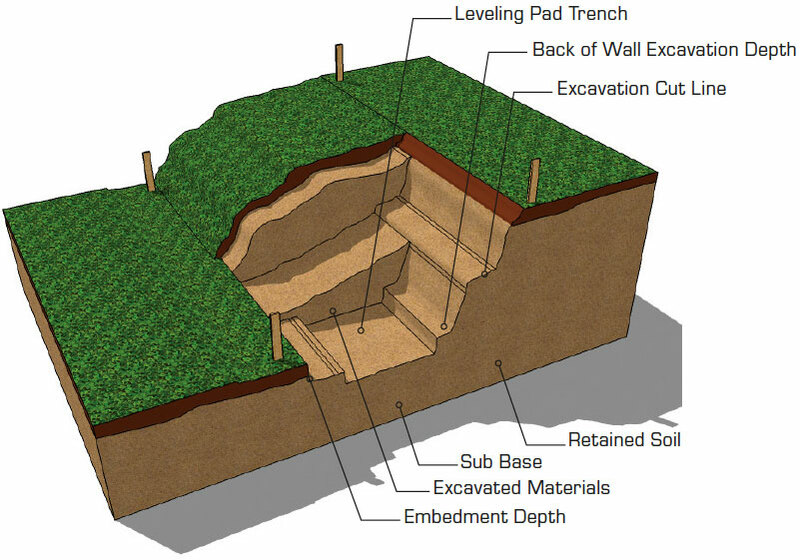 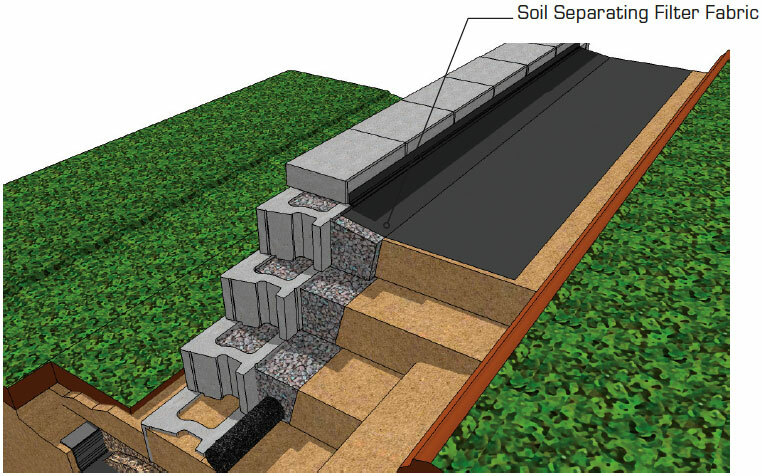 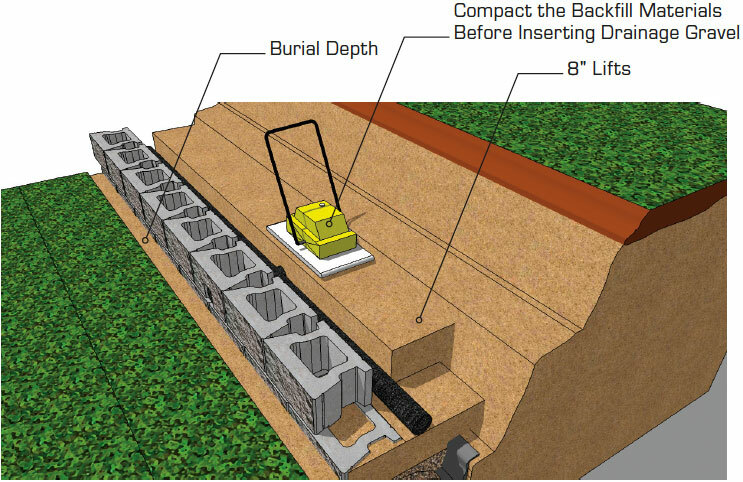 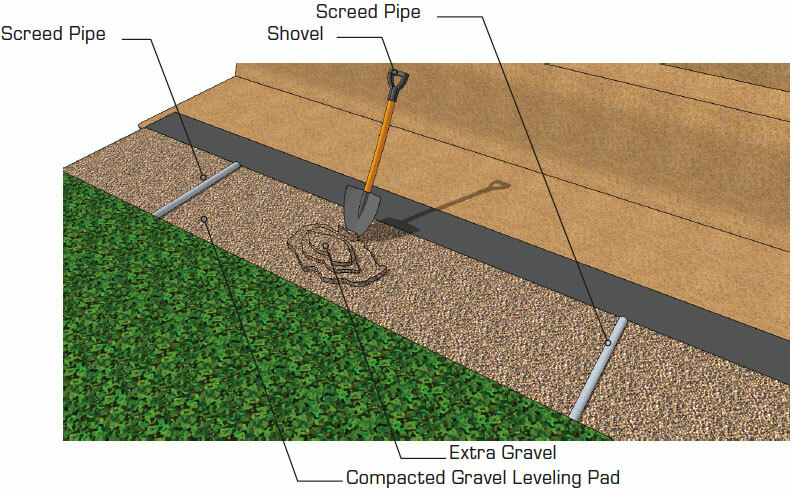 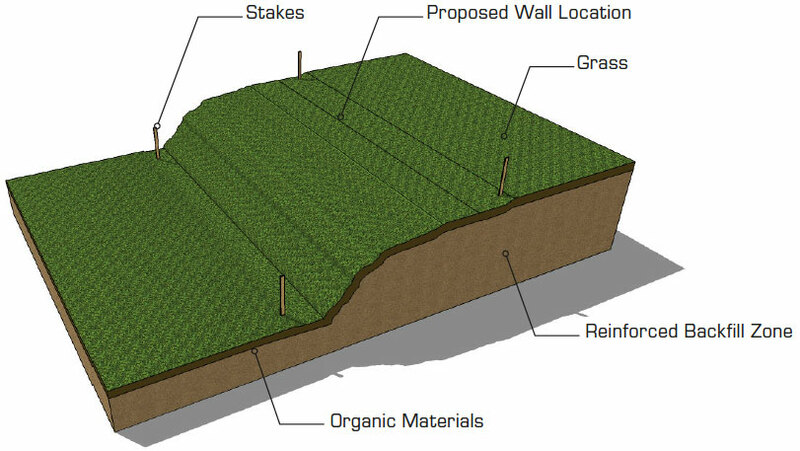 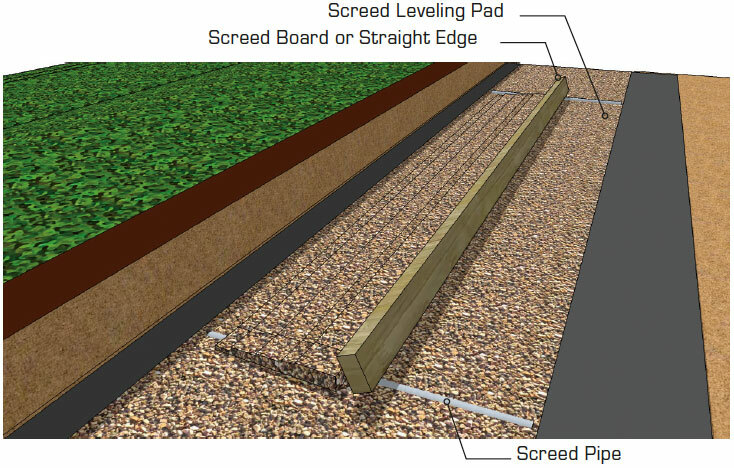 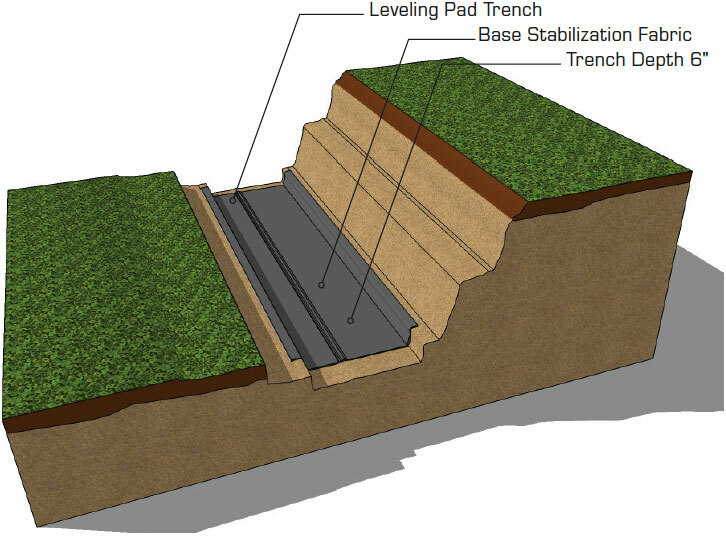 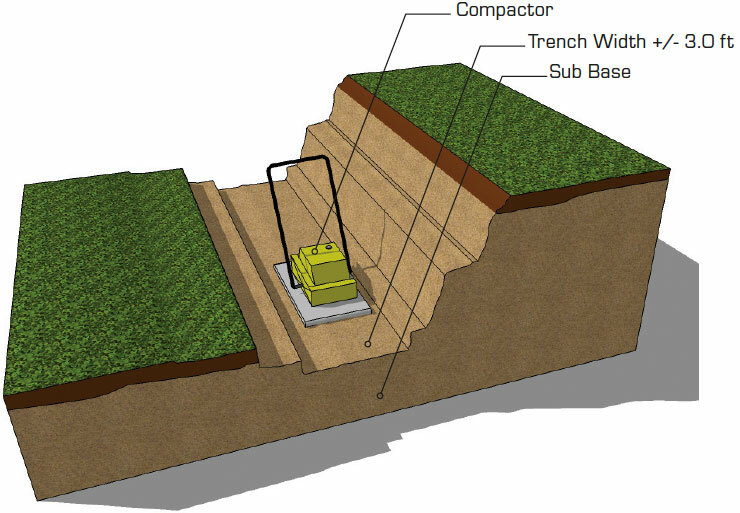 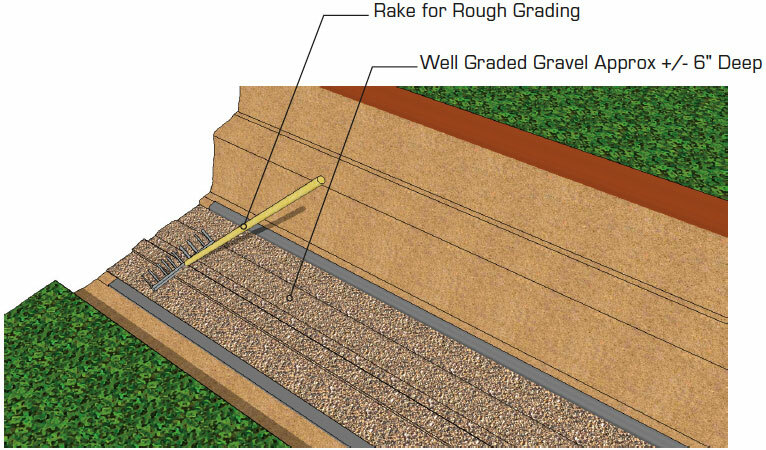 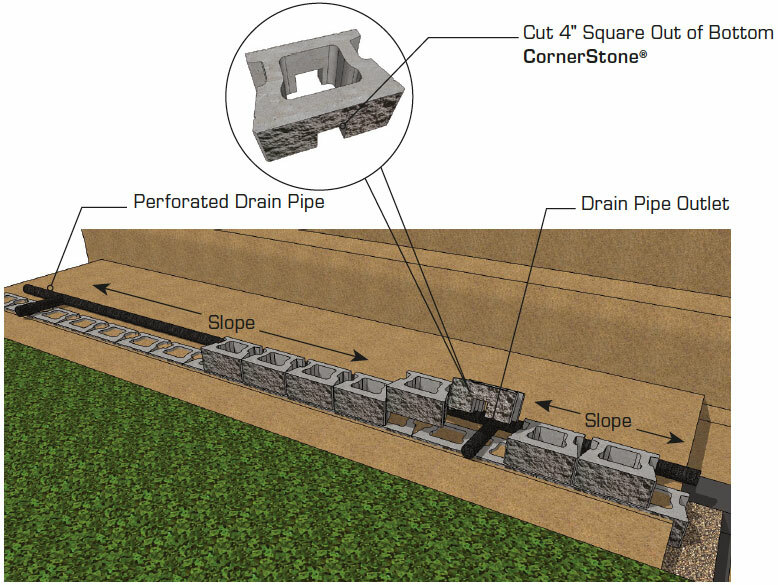 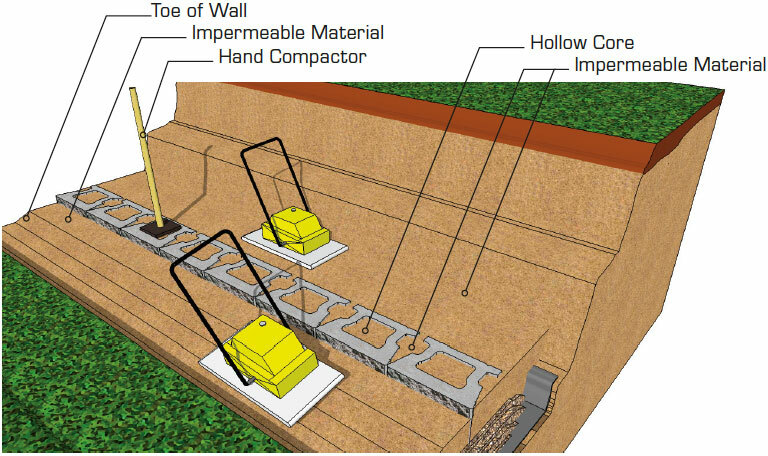 The 5/8″/unit (4.5 degree or 1″/vertical foot) batter or setback of the CornerStone® retaining wall along with proper soil conditions below and behind the wall provide the stability of the structure. 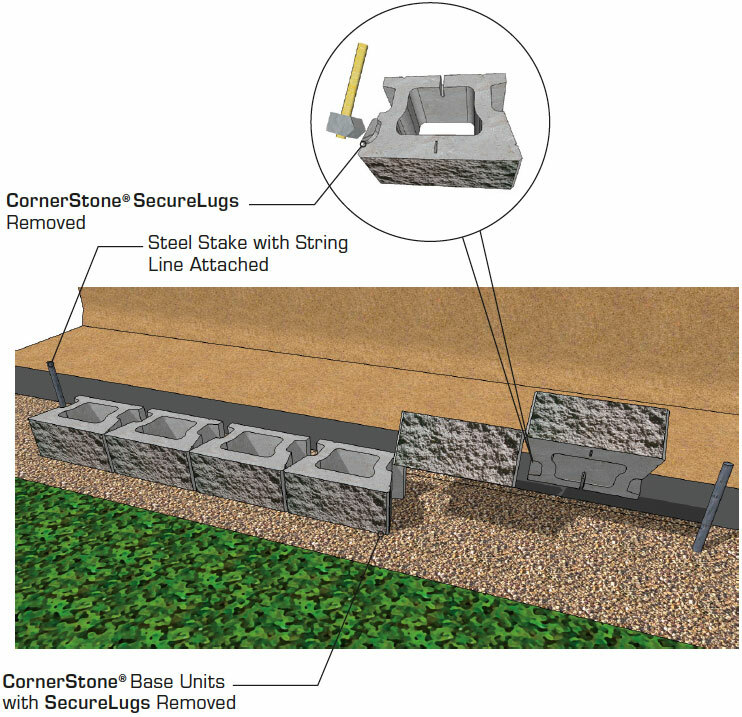 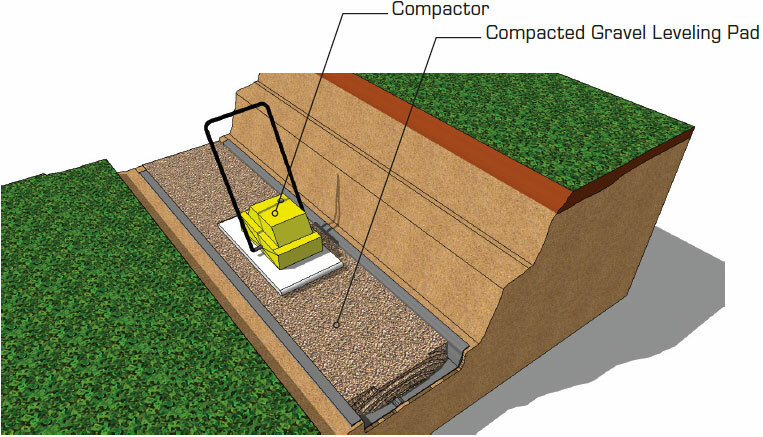 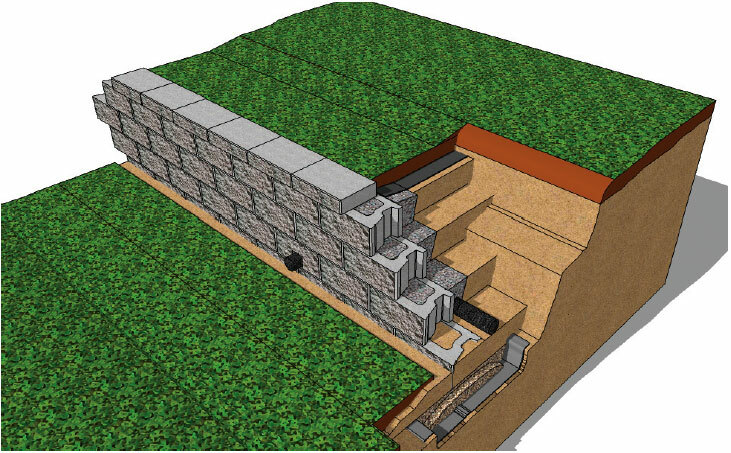 Below is a step by step for CornerStone 100 Gravity Retaining Wall Installation. 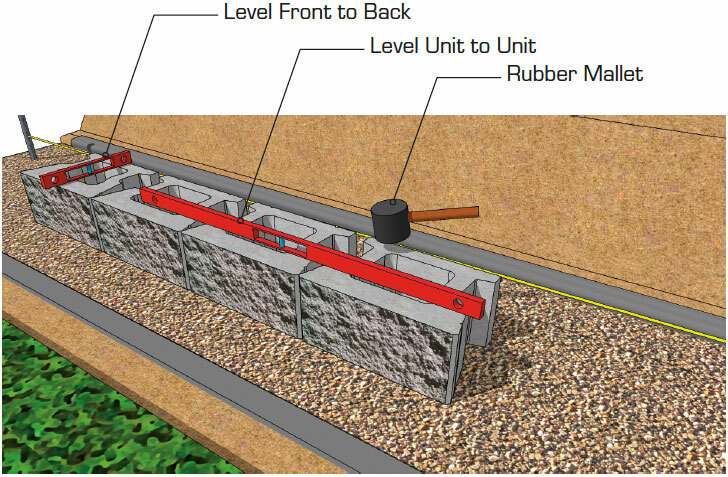 For walls 4.0ft (1.2m) and taller a qualified engineer should be consulted.